Hey thanks for me giving me the opportunity to vent or share my thoughts. This is my second year in the racing game though not knew to pigeons its totally different than having a coup on the roof in NYC… I got involved to keep my sanity lol. As a Disable Vet and having time on my hands I needed something to do beside the Honey Do List… I am competitive but this sport to stand a chance it takes money…. I also notice that many of the old timers are not as giving or willing to share the knowledge…. Oh I understand that people want to win, but if you the sport to live and recruit new flyers you have to put out… I can count the guys on one hand that have been helpful in the last 2 years…….. I believe its all about paying it forward….. If you know what it takes to win… No one is going to upset you until they learn what it takes to be successful in this sport.. Yes i do think it dying out . I can remember wen i was racing pigeons i started 1983 with my dad . And at that time every street in my town had a loft.. it was a very competitive club . 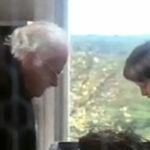 But my dad took ill and could not enter the loft anymore. I loved the sport. But was to busy with work ect so we finished up in 1996.. now our club has combined with other clubs around our town . But have found out its very hard to win because off were our town is located.. i have been asked with fellow fanciers trying to get .me bck into the sport. But just feel that every year that passes its getting smaller.. its seriously declining. I would love it to pick back up again because i for one would consider getting back into it. But just feel its not worth it . Its a shame . Iys needing some serious promoting. Well we are newbies answered a Craigslist add selling pigeons (rollers) so got my daughter 3, kept them in the house but she kept letting them out and My curtains paid the price, and the mess omg !. We live in Wisconsin and finally couldn’t take it anymore so we build them a cage out side in a shed inside out side flight cage it was November and was worried about the cold so insulated the shed with styrofoam hay, heated water dish purchase, heat lamp, bowls, to sleep in then…I noticed eggs. So worried about the babies I found this site and found tons of info on food, roosts, and why they were laid in winter (to much light from heat lamp). Later after birds sat on eggs for a mouth they stopped, looks like eggs were not fertilized, there was 4 in nest, so looks like we have all girls…lol so now my daughter and I are looking into training them to come when called but haveing trouble with holding there food. ( there pigs) also looking to get a male or to but don’t want to get them from same lady because the my be related. I’m very thank full that this information is out there and that there are others out there racing. Someday we might be ready, but not for a while. 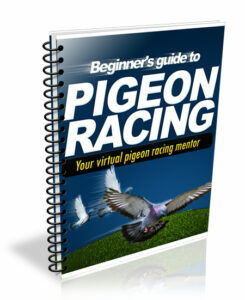 Glad you find the Pigeon Insider valuable to you and so happy to hear that it is helping you! not enough young members -to exspensive for no return as in prizemoney -pigeons priced out of reach of average person – no promotion work done eg schools, advertising, sponsorship.R.S.P.C.A. trying there best to ruin the sport like every other race code and no one will stand up and say enough is enough because goverments are only looking after them selves at the down fall of animal racing sports. My opinion is that the major reason for our sport slowly dying is that kids today are not entering the sport as they appear to have a preference for electronic gaming rather than looking after a loft of pigeons. hence as the oldies are dropping off the perch there are very few young’uns to replace them; it is a shame! 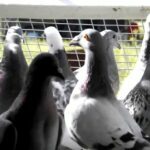 Pigeon keeping as a hole is dying, with the changing regulations of keeping pigeons in town more an more fanciers are moving out into rural communities and the one loft races are becoming the future of racing. The future of the hobby might make a come back with the returning of the victory garden that was encouraged after WWII. the reason for why I say that the sport is dying is cost to race and buy pigeons have sky rocketed , food costs also are just becoming to costly. Young Fanciers are just not able to afford the price of pigeon that the top fanciers are wanting for babies. it has become a sport where the fanciers want top prices for there pigeon and are not prepaid to help young fancier to start up, it is all about the money they can make. another reason is the how the top fanciers are getting away with doping and cover up with caffeine levels that are so high went the test result get back and are only suspended. The AU still has a Help-a-Beginner program to provide a mentor for the new flyer no matter what age they are. New flyers don’t necessarily have to be kids! 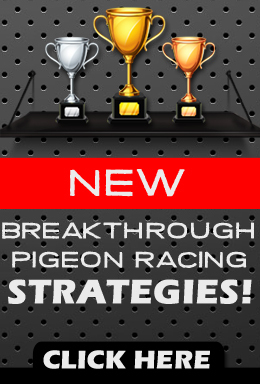 There are many flyers out there that will help new members with birds but you have to be sincere about racing them. Contact the AU for further information.